An opportunity to discover and visit Taormina with its Greek Theatre, Corso Umberto and its exclusive shops and famous bars. You will admire the wonderful landscape and Isola Bella, a nature riserve-Unesco Heritage. The tour also includes a short visit to the picturesque village of Castelmola. 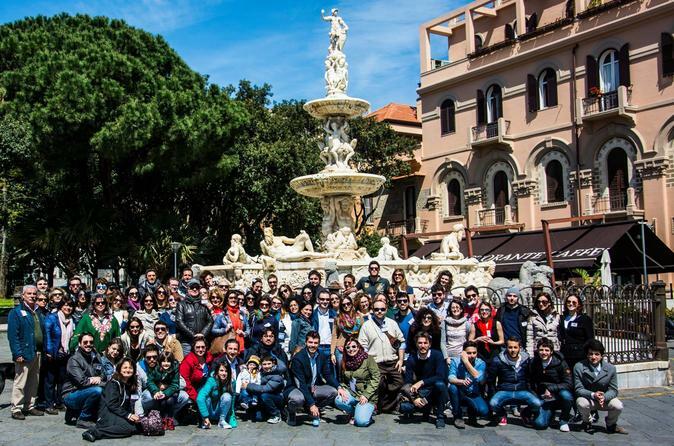 Join this extraordinary opportunity to discover and visit Mt.Etna, the biggest active volcano in Europe. 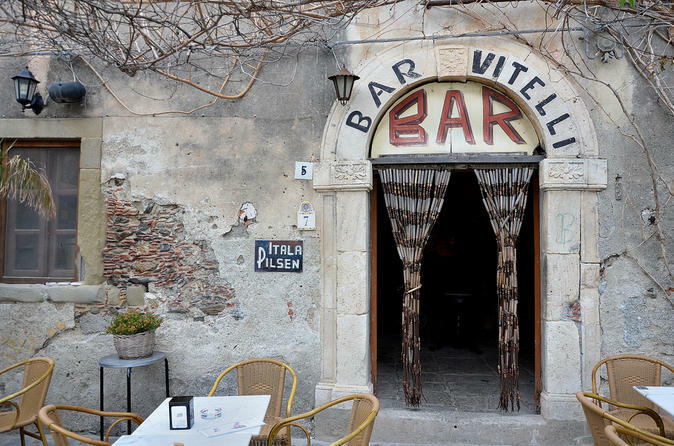 Make a stop to Taormina to see the Greek Theatre, Corso Umberto and its exclusive shops and famous bars. 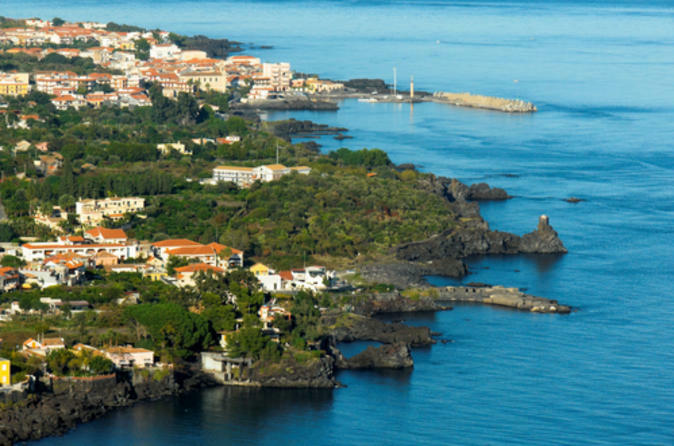 You will admire the wonderful landscape and Isola Bella, a nature reserve and UNESCO Heritage site. Private tour of The Godfather movie. Discover the movie places, walk through the tiny road that Francis Ford Coppola and Mike Corleone walked in 1971. Your 2 hour walking tour starts from Cathedral Square, under the beautiful bell tower which was built in 1933. Other interesting monuments worth of admiration are the Catalan Church, testimony of Arab-Norman style, the Vittorio Emanuele Gallery, which is the second one in Southern Italy and the Mount of Mercy in Barroque style. With so many places to visit don't overlook the Sanctuary of Montalto and the Shrine of Christ the King, the Church of Saint Francis, Palace Zanca and the Antiquarium, and the Palace of Culture, dedicated to the famous painter Antonello da Messina. 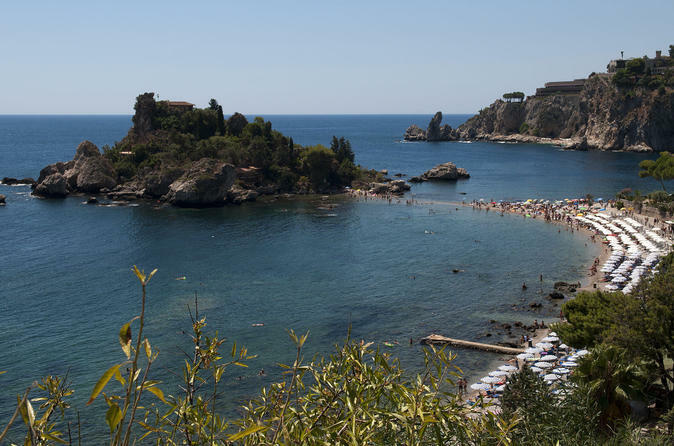 While you’re in port in Messina, take a full-day private shore excursion to Taormina and Mt Etna. Take in scenic views as your private driver takes you along the fabulous Sicilian coast. Explore one of the world's most active volcanoes at your leisure -- the majestic and fascinating Mt Etna. As you travel through these exquisite coastal landscapes at your own pace, experience a taste of southern Italy. 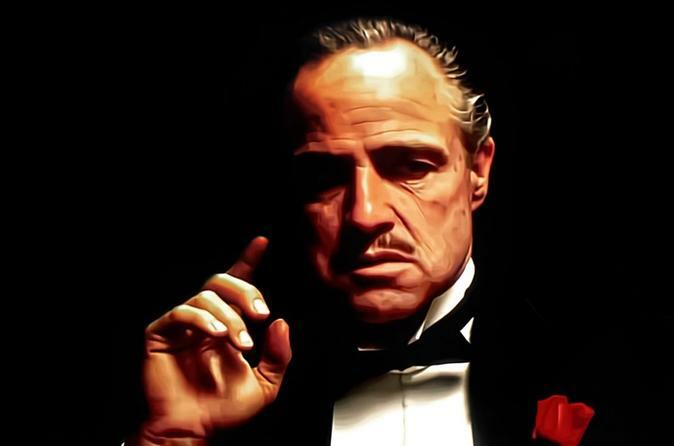 A must for the lovers of 'The Godfather'. One of the most beautiful Italian villages where Francis Ford Coppola filmed a few scenes of his famous film. 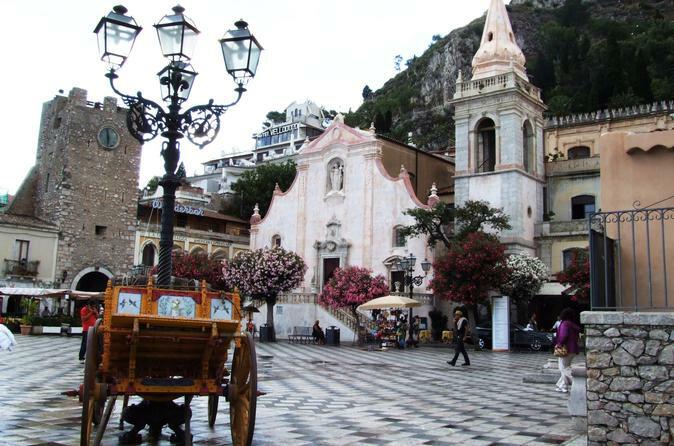 You will also visit Taormina with the Greek Theatre, Corso Umberto and its exclusive shops and famous bars. You will admire the wonderful landscape and Isola Bella, a nature riserve-Unesco Heritage. 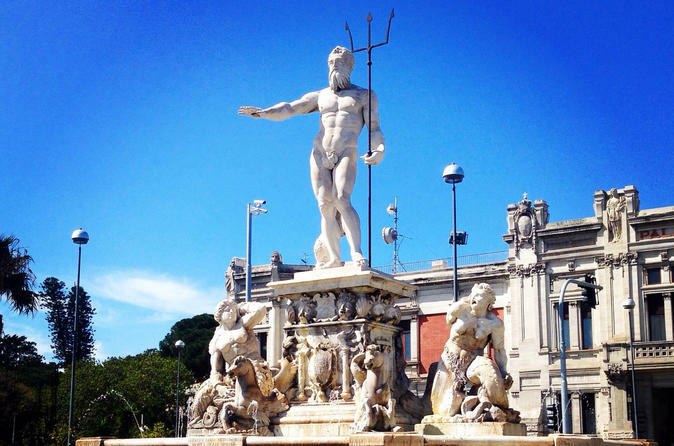 Messina has always had prestigious fountains, some of them mentioned by the most important art critics for their peculiar architectonic beauty. 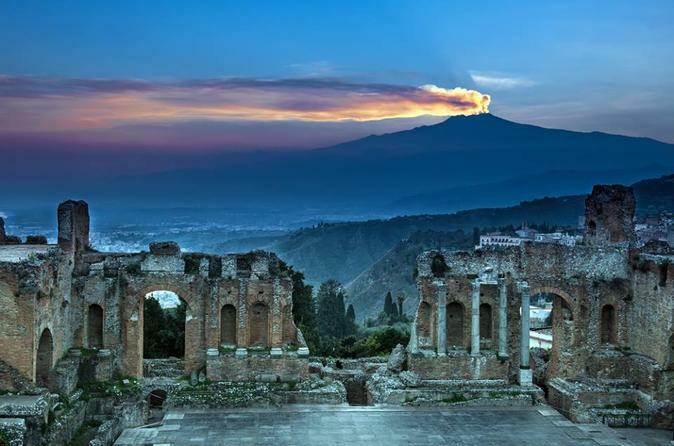 Tour to Taormina where you can visit its famous sites like the Greek theater, the Cathedral and a view on Mount Etna and bay of Giardini Naxos. Continue with a transfer to the town of Castelmola and head back to Messina with a city tour included. 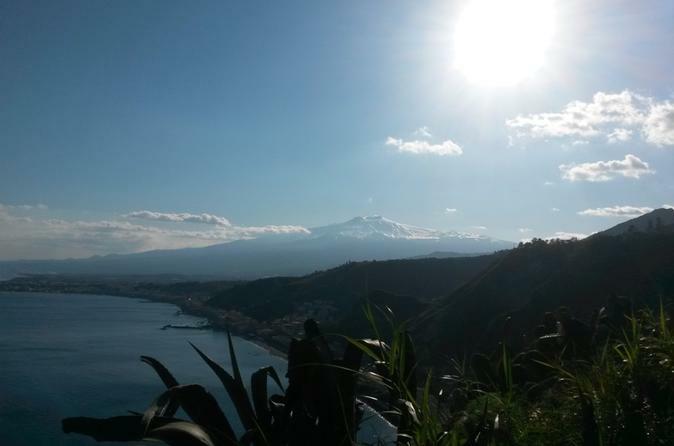 Join this tour to see Mount Etna which boasts a very special heritage. 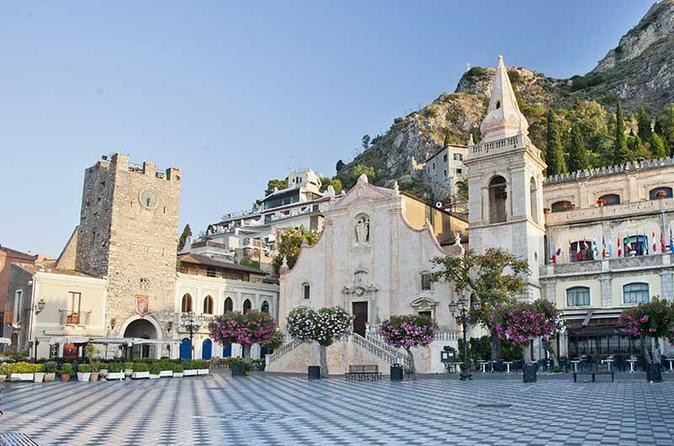 Included in the tour is the visit of Taormina, a place to visit if you are in Sicily. Enjoy a tour of Taormina where you'll visit famous sites like the Greek theater, the Cathedral, Mount Etna and the Giardini Naxos bay. 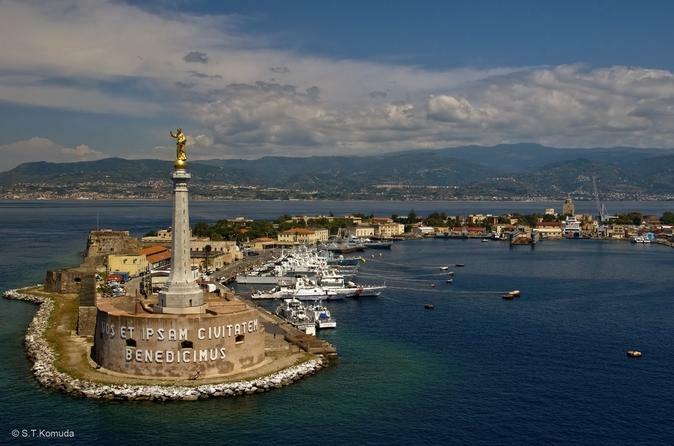 The tour will then return to explore the sites in Messina. This 4-hour includes pickup and drop-off from the ports in Messina. The Gorges of Alcantara are a spectacular place unique in the world. 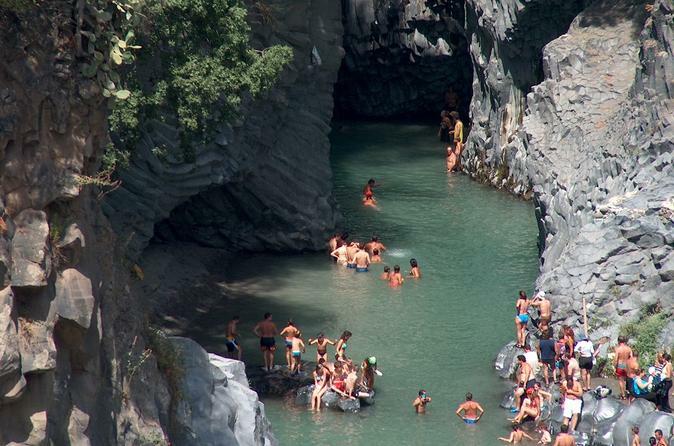 With a height of 50 meters they create a real canyon originated by a cooling phenomena of antiques lava flows, generated by the cold water of the Alcantara river. The Botanic Park of the gorges allows to visit this show of nature in every moment of the year with the maximum comfort and safety. From May to September when the level of the water is lower it is possible to explore a part of the canyon, polished by the water during the years. A panoramic view of the city and the possibility to see the main attraction of Messina also known as 'the door of the Mediterranean'. Wonderful landscapes and historical buildings in an unique tour that will impress you. 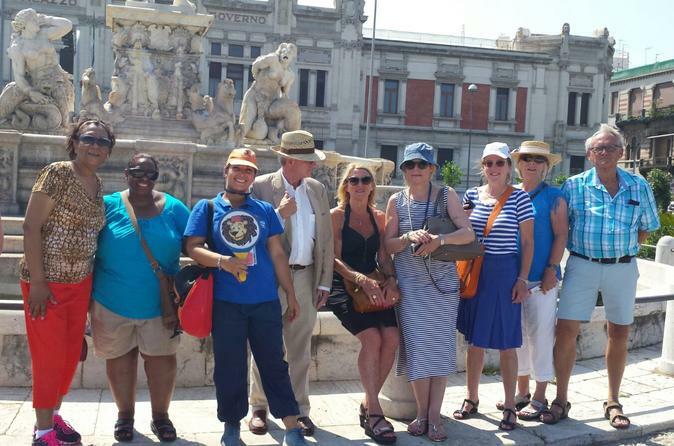 Enjoy a full-day private shore excursion from the Messina port to the picturesque Cyclops Riviera, encompassing the Sicilian fishing villages of Catania and Acireale. Your private driver will take you through the Sicilian coast's stunning settings as you explore the area’s most notable sites independently, including Corso Umberto and the Basilica of Saints Peter and Paul in Acireale and the beautiful Roman theater and thermal baths in Catania. 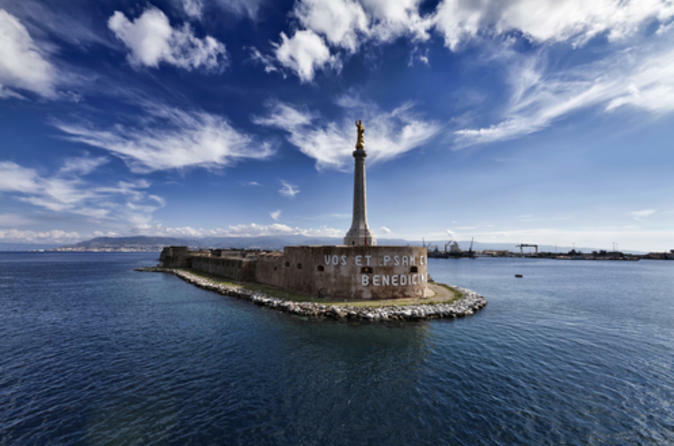 Enjoy this Messina tour that begins at your cruise ship terminal. 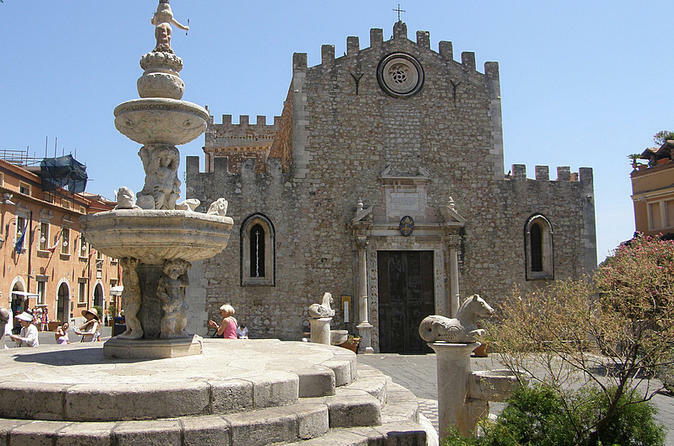 Discover this beautiful Sicilian town full of history, culture and amazing panoramic views on this 2-hour guided tour. Tour to Taormina where you can visit its famous sites like the Greek theater, the Cathedral and Mount Etna and Giardini Naxos bay. Continue with a transfer to the town of Castelmola and head back to Messina.